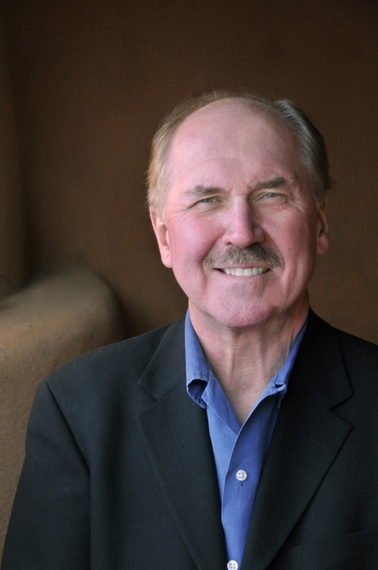 David Morrell's latest novel, Inspector of the Dead, is a sequel, featuring De Quincy and his iconoclastic daughter, Emily. When a killer begins targeting London's elite, Scotland Yard again seeks De Quincy's help. He approaches solving the crimes with unconventional Kantian logic. De Quincy deciphers clues left by the killer, and concludes chillingly, the next victim will be Queen Victoria, herself. The novel blends historical fact and 1855 London ambience with thriller-laced fiction in a feat of brilliant storytelling. Inspector of the Dead takes place in 1855 during the Crimean War. What was the significance of that conflict in relation to the novel? Doing research, I learned the war was handled terribly by the English. There wasn't enough food for the soldiers. Hygienic facilities were lacking. They wore summer uniforms during the winter. Most of the causalities were due to mismanagement of the war. The indignation among the people was so great, a vote of no-confidence took place, and the government fell. For eight weeks in 1855, there was no English government. The novel is set during that crisis, when someone decides to assassinate Queen Victoria. In reality, there were eight assassination attempts on her. So, historical fact and fiction blend, and the Crimean War crisis sets the tone for the novel. Thomas De Quincy's most well-known work was the 1821 memoir, Confessions of an English Opium Eater. Tell us about that. We must understand a substance called laudanum. It was the only effective pain-killer of the era. It combined alcohol and powdered opium. In the 1850s, you could go to the grocer or paperboy or butcher and purchase it. It was perfectly legal. It had a skull and crossbones label as a warning. So, its deleterious effects were certainly known. In his twenties, De Quincy developed a toothache, and began taking laudanum. He was overwhelmed by the pleasure it produced. After ten years, he was a full-blown addict. To put it in perspective, most people would be killed by a tablespoon of laudanum; De Quincy's tolerance allowed him to drink sixteen ounces a day and remain functional. While it sedated most people, for him, it was a stimulant. Under its influence, he was able to write brilliant prose. When he released Confessions of an English Opium Eater--the first drug addiction memoir--the response was sensational. No one had ever publically acknowledged being overtaken by opium. It made him so famous, for the rest of his life he was known as the Opium Eater. It was one of the most important books of the 1800s. As a corollary, his opium dreams caused him to theorize about the human mind. On page 163 of Inspector of the Dead, De Quincy says, 'There's no such thing as forgetting. The inscriptions on our memories remain forever...' What's the significance of this statement? De Quincy published thousands of papers. He anticipated by seventy years, some of Freud's theories. Freud knew of De Quincy's work. Baudelaire translated De Quincy, and Freud read Baudelaire's translations. Freud probably had ideas about the sub-conscious, and reading De Quincy may have reaffirmed them. So, De Quincy was way ahead of his time in understanding how our minds work. De Quincy also took a psychological approach to literary criticism, didn't he? Yes. He wrote the essay, On the Knocking at the Gate in Macbeth, now a standard in modern literary analysis of that play. It was the first psychological criticism. The essay concerns a moment in the play when the murder of King Duncan by Macbeth and Lady Macbeth is followed by a pregnant silence. Then, there's a knocking at the castle gate. The knocking ends Act II, Scene 2, and opens Act II, Scene 3. De Quincey wrote that for him, the knocking had a profound effect: "it reflected back upon the murderer a peculiar awfulness and a depth of solemnity...." That essay foreshadows the psychological approach to literary criticism. You incorporated literary elements of the Victorian novel into Inspector of the Dead. Tell us about that. I was taught in graduate school to match form with content. In other words, a subject matter often invites a certain way of writing about it. While researching and writing Murder as a Fine Art and Inspector of the Dead, I immersed myself in Victorian novels. It occurred to me it would be fun to write a novel about the 1850s as if it had been published back then. Novels are no longer written that way. The culture and the language were far different from today. I asked myself how I could bring this virtually alien culture to life for the modern reader. It seemed that by using the intrusive omniscient narrator--basically imitating that element of the Victorian novel--the reader would have an explanation of various cultural and political aspects of the 1850s. Essentially, I was asking the reader to give me a break: since the Victorians did it, let me do it, too. It was an old technique, but in a way, was so liberating for me. You also mixed in third and first person narratives through Emily's journal. There's a good deal of precedent for that. One of my models was Dickens's Bleak House with its alternating points of view. My protagonist, Thomas De Quincy, however brilliant, was in fact, a dope addict. I thought readers might have an aversion to such a person. How could I make readers warm to this man who was continually drinking opium? The key was to use his twenty-one year old daughter Emily. I introduced De Quincy through Emily's point of view, in the first person. This engaging iconoclastic and smart woman introduces her father to the reader. It's clear she loves him dearly. The reader may very well think, 'If she loves her father that much, I'm going to give him a break and like him.' So at four points during the novel, we go back to Emily's point of view--through her journal--and get reacquainted with her deep affection for Thomas De Quincy. Using Victorian style in the novel more fully immerses the reader in 1855 London, doesn't it? Before writing these two novels, I wrote a note to myself, saying, 'Try to make readers believe they're truly in 1855 London. Some of this is accomplished by details I brought to the novel. For instance, how much did a woman's clothing weigh? Or, how did a doctor back then diagnose mental illness? It was done by measuring bumps on the head--phrenology. I spent years researching London in the 1850s. I even had an 1851 street map of the city. So, the novel's details of lifestyle at that time, and the Victorian writing style, transport the reader back to London in the 1850s. David, you've been such a successful novelist. What has surprised you about the writing life? What comes to mind is how much things have changed in the writing world. This is my forty-third year as a published novelist. When I started in 1972, there were no book signings. Novelists didn't go on tour or do publicity. There were hardly any bookstores--certainly none of the chain bookstores existed. There was a time when ten or fifteen book warehouses existed in each state; they serviced Mom-and-Pop grocery stores and stationary stores. Those warehouses disappeared. The chain bookstores appeared. And of course, we now have the e-book revolution. That allows many more writers to get out and self-publish. I've seen a great deal that's changed in the writing world. That's what has surprised me most of all. One of the things these changes have taught me is to take the long view of the writing life. There are peaks and valleys. I've always felt you must be a first-rate version of yourself; not a second-rate version of another author. I also believe it's foolish to chase the market, because if you do, you'll always be looking at its backside. I've always written what I love to write. Some authors told me not to write historical novels such as Murder as a Fine Art and Inspector of the Dead. It would be a departure from my contemporary American subjects. They felt readers wouldn't go with me. They wanted more Rambo or more of The Brotherhood of the Rose. But things change, and I didn't want to keep writing the same kind of novels. I've been a published author for more than forty years. The usual publishing life of many authors is fifteen or twenty years. They fall out of favor because they keep writing the same novel, over and over again. It's an opportunity for me to exercise my imagination. My childhood was not a good one. My father died in the Second World War. For a time, my mother had to place me in an orphanage. She remarried a man who didn't like children. They fought a great deal. I spent a lot of time beneath my bed, hearing them fighting, fearful, and telling myself stories in the dark. Of course, I was always the hero. When I grew up, I discovered this need to tell stories. I got to do it, and even earn a living doing it. It's a wonderful opportunity to benefit from my daydreams in a culture that doesn't value daydreaming. I think our best ideas come to us when we give ourselves permission to go into that kind of trance. I love the opportunity to let messages rise up from my psyche. When I was young, I wanted to be in the music business. I wanted to be like Nelson Riddle, the famous orchestrator. As a teenager, I had music lessons and absorbed a great deal about harmony, musical theory, counterpoint, and orchestration. But something happened at age seventeen: I lost interest in music and realized my passion was in telling stories. I sometimes think the musical training in structure was helpful in terms of writing novels. Congratulations on writing Inspector of the Dead, a riveting historical novel and compelling thriller, immersing the reader in the geography, culture, and police work of 1855 London.